1. Nobody gives better mustache kisses. Even lady-Scotties have a wonderful mustache that tickles your nose when they lick your face. Scottie puppies, however, are not marvelously mustachioed until their first birthday. That mustache is earned, and it’s unique to the Scottish Terrier. Consider it a special blessing if a Scottie ever gives you a drippy, sloppy kiss after dipping that mustache in their water bowl. 2. Scotties are eternal puppies. Until the very end, a Scottie has a mischievous sense of humor. You’ll quickly learn to put away your socks, because they look and smell exactly like the rats that this dog has been bred to chase. Nothing is more fun to a Scottie than being chased around the house with a sock, no matter how old they get. 3. Being loved by a Scottie is an honor. Unlike a Golden Retriever, which will love just about anyone, a Scottie is wary of strangers. While they’re loyal to their family, anyone else will have to earn their trust. If you are able to befriend a Scottie, it means that you are now part of their family. This is not as easy as bribing them with a treat. They can tell if you are a good person, and will only trust someone with a pure heart. 4. Done right, that signature clip is on fleek. Professional dog groomers look forward to grooming a Scottish Terrier. It’s a great opportunity to show off how skilled you are with the shears. Scotties are adorable when their coat is overgrown and scraggly, but there’s nothing like a fresh clip. Anyone can appreciate that lovely silhouette. 5. They make you seem more distinguished. The Eisenhowers, Roosevelts and even George W. Bush Jr. all owned Scotties while in the White House. The dogs also have a long heritage of belonging to royal families. 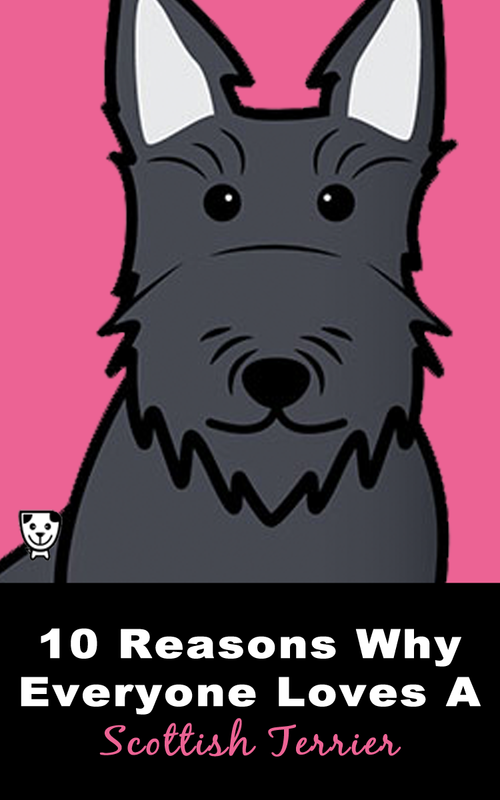 So, it stands to reason that if you have a Scottie dog in your life, you must be someone special. Only someone with strong leadership qualities can own this charming breed. No matter what’s going on in your life, no matter how you dress or how you decorate your home, a Scottie ties everything together. 6. Those eyebrows are all natural. The past decade has seen a widespread trend of thick, full eyebrows. Women have been using eyebrow pencils, creams, even tattoos to replicate the bold, distinguish brow of the Scottish Terrier. While nobody knows for sure how this trend began, and some point at fashion models, it’s quite clear that those expressive brows imitate the inimitable Scottie dog. 7. Scottish Terriers are made for cold nights. While all dogs have a slightly higher body temperature than humans at 101 degrees Fahrenheit, not all are great for snuggling up to at night. The Scottish terrier has a long, wiry coat that feels exceptional on bare feet. The dog’s short legs are optimal for sharing the bed without taking up too much room. Some love to spoon under the covers, others don’t like being too warm and prefer to be by your feet. 8. They make the perfect excuse for updating to an all-black wardrobe. Scotties don’t shed terribly, but they do shed, so you will get black hairs on your clothes. Fortunately, you can wear black so the hairs will not be visible. As an added bonus, your new wardrobe will make you look distinguished and professional. People will ask you if you are a poet, a goth, or a heavy metal enthusiast, depending on your makeup, jewelry and facial expression. 9. Scotties make great gardeners. Like all terriers, the Scottish Terrier was bred to hunt for rodents through underground tunnels. Now, you can put those skills to good use by allowing them to help you turn your soil. Those tough little paws will stop at nothing to aerate your soil to perfection. 10. You can never forget a Scottish Terrier. Years after your Scottish Terrier leaves you for the great dog park in the sky, you’ll continue to find black hairs and nose prints around your home. It’s impossible to get rid of every trace of evidence of your pup, and the impact that they have on your life lasts forever. 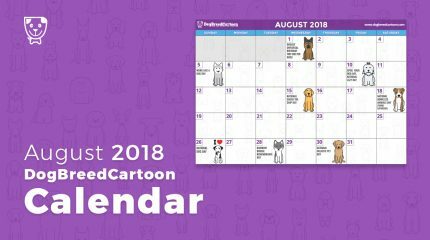 Download a custom cartoon of your favorite Scottish Terrier. Love your post. I have been the happy person to have been loved by 4 Scotties in my lifetime. They are truly special ! Love these. I’ve been owned by Scotties for over fifty years. My current is the first wheaten I’ve had, so the black wardrobe isn’t quite working anymore. We are lucky to be loved by our third Scotty Abby! We had Maggie and Bonnie before her. Bonnie had a Clyde to go with her, a Westie. Wonderful companions! Thanks for post! Someday I will get a Scottie and name him, Winston. We loved a Scottie girl for 8 short years, when she was taken from us by a bleeding disorder. We will never forget our girl, Nessie. The article described her to a “T”. We still have terriers from Scotland, the West Highland Whites and we love them dearly. They are not quite the same, but similar and very loved. I have been owned by four wonderful Scotties, all different yet all the same . 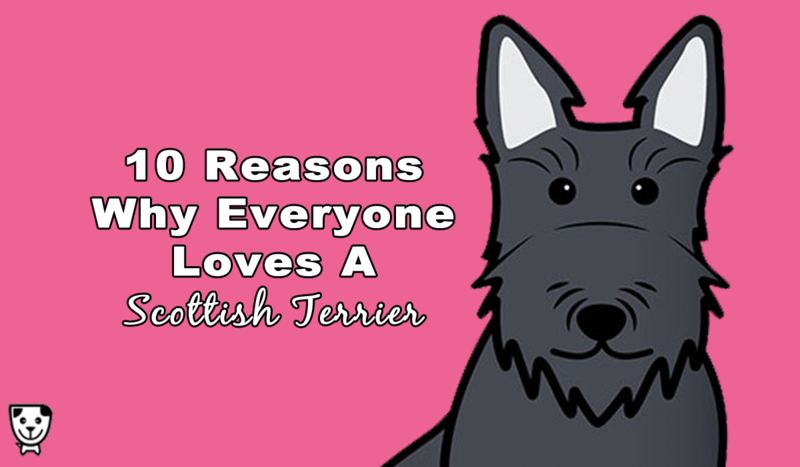 These 10 reasons give some if the hundreds of reasons why Scotties become such a part of us. 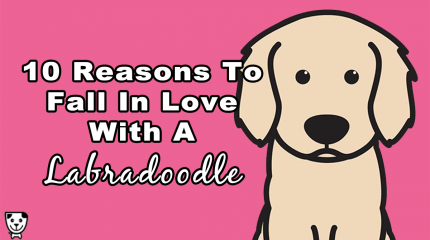 To love a pet is good, to love a dog is better, to love a SCOTTIE is BEST…TRUE. I have been blessed – to be the keeper of three scottie for the last 35 years – molly, sherman and the silly goose girl, Puppy . I loved them dearly, but puppy stole my heart an took it with her, she was my pal, business partner , store mascot and keeper of the gate . It’s been a year now and it has not gotten any easier – I miss her so. I will always have at least one for the rest of my life. I am owned by a brindle Scotty named Brody. He is my fifth Scotty and each one has been a favorite. They are such protective dogs always keeping their little body between their family and threats. He is the custodian of the street with a wary eye to what he deems is appropriate to be on the walkways and streets. Aloof but willing to accept admiration at a distance. 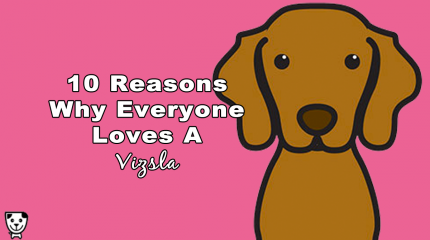 A lover of doggie treats, doggie dinner and quick to respond to doggie bedtime. He sleeps under the head of my bed so he is at the ready for any nighttime protection. A well loved, devoted companion whose judge of character is impeccable, My boy Brody. 10th reason is so true that my wife and I are Looking for his sight around the House everyday. We could never forget him. We still miss him. I know it will be forever. There are four Scottiesliving in Jenkintown Pa and I am the proud owner of one of them …my Quinn is the most handsome of the group! He was the runt of his litter but has turned out to be the best looking! He’s going to be six years old in October and let me tell y’all that he is a Scottish Terrier through and Through! Love the list! Our precious Scottie, Regis, is 14 years old. He can’t hear or see very well but can still rigorously chase after his stuffed red fox. His sister, Maggie, left us 3 years ago due to cancer. Regis has survived cancerous tumor removal from his leg, heart worms and torn ACL. He is our 3rd Scottie and we are so dreading the day he joins Maggie in Heaven. I can’t imagine not having a Scottie in the house! Their temperament is not for every dog owner, but if you are, a Scottie is pure love at first Scottie. I love seeing the posts of people saying they were proud to be “owned” by their Scotties. Truer words could not be spoken. We have had 3 Scottie’s over a span of about 45 years, and this spring we found another. Lucy! She fits the 10 reasons perfectly. At 7 months she is a bundle of energy and so much fun. We also have a Scottie mix that is over 16 now and he is still very active, even plays with our sweet Lucy sometimes! Scottie’s are just so much fun and Lucy loves everyone and every animal. Add me to the list of owners owned by their Scotties. We have two. They’re half sisters. Same daddy different mothers. As different as night and day but Scotty’s through and through. Love them dearly. I have wanted a Scottie since I saw George and Laura Bush’s Barney on television. He was adorable and had such a big personality. Got my first Scottie (a black) 5 years ago and she did not disappoint; her name is Fergie and she is my love. She immediately bonded with me so we got a Wheaton for my husband. Luna is 2 now and guess what she bonded with me as well. They are amazing dogs and companions and I am blessed to have them as part of our family! Couldn’t imagine life without them! I was 3 yrs old and my father gave me a scotty for my birthday , I am now 60yrs old and have never been without a scotty by my side, my grandchildren have a scotty also called Hugo and I have Cocoa. They are little dogs that love to part of everything you do . Scottie’s are in my blood !!!! But be warned your always be tempted to have more than one they are addictive. Trying to fine one. I am too alone. My hubby rab away to rhe woods. Complete nutcase so I knew in my heart that a scotty was for me. Just cant find one. Asap. I too am smitten with the breed. My boyfriend needs a new heart, he is 51…our friend bought him a Scottie pup. She was just 8 weeks or so when he got her… The most precious little girl. He named her Daisy. She is black with some threads of white on her back. She is 15 most old now and the light of his life. She lays with him when he is not well…she has slept next to his heart pump all her life. She loves her Daddy so. And I love her so…she is smart, gentle, happy, well behaved. We never thought she would grow into that nose!! I want one also…having a tough time locating one here tho, gone before I find them. Wonderful little creatures! I’m on my second Scottie which we named Dougal, he’s a beauty and My handsome Prince. My first Scottie Belle passed away over a year ago. My heart misses her terribly. Wouldn’t have any other breed now, love them! We are expecting our puppy in June, a Scotty. Our boys both died this year, Murry and McTavish. The deep love and enjoyment we experienced is difficult to put into words. Since the boys left us we have been so sad but we know our new Scotty will help heal our very sad hearts. We count the days!!! Loved reading all your posts. ❤️The Scotty Breed is definitely a very special one. We are expecting our puppy in June, a Scotty. Our boys both died this year, Murry and McTavish. The deep love and enjoyment we experienced is difficult to put into words. Since the boys left us we have been so sad but we know our new Scotty will help heal our very sad hearts. We count the days!!! Loved reading all your posts.